The Diamond has been helping riders push their limits for the past 5 years. Drew did his homework on this shape. 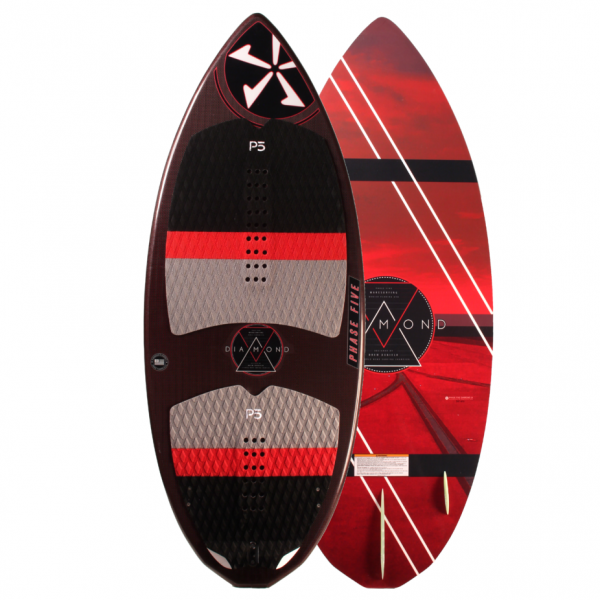 The full tail when teamed up with P5’s speedy rocker keeps you riding off your back foot and makes it super fast for bigger airs. A ¾” hand wrapped with super stiff carbon fiber produces alot of pop and durability. The Diamond is no longer just a girls best friend. 48	48″ × 20″	.75″	4’8″ – 5’7″	135 Lbs. 51	51″ × 20.25″	.75″	5’1″ – 5’11″	170 Lbs. 54	54″ × 20.5″	.75″	5’4″ – 6’2″	195 Lbs. 57	57″ × 20.75″	.75″	5’8″ – 6’5″	220 Lbs.